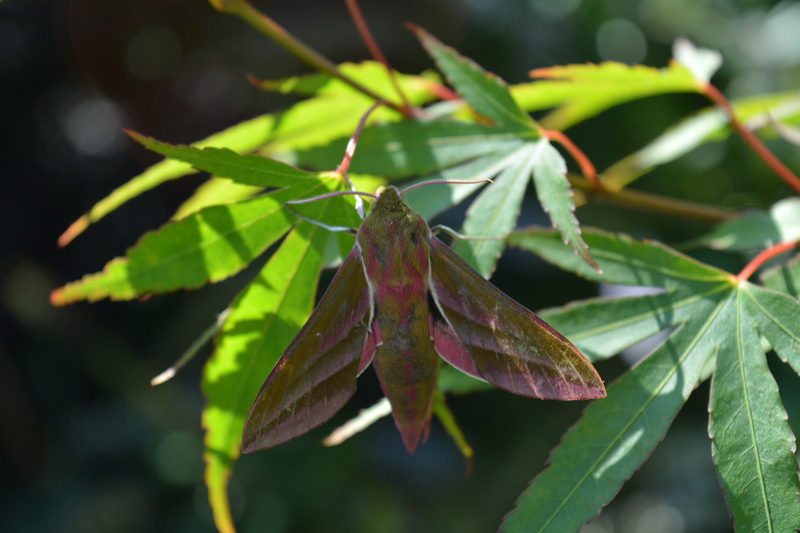 Butterflies dominate our summer gardens for their beauty and the movement they add to our gardens. 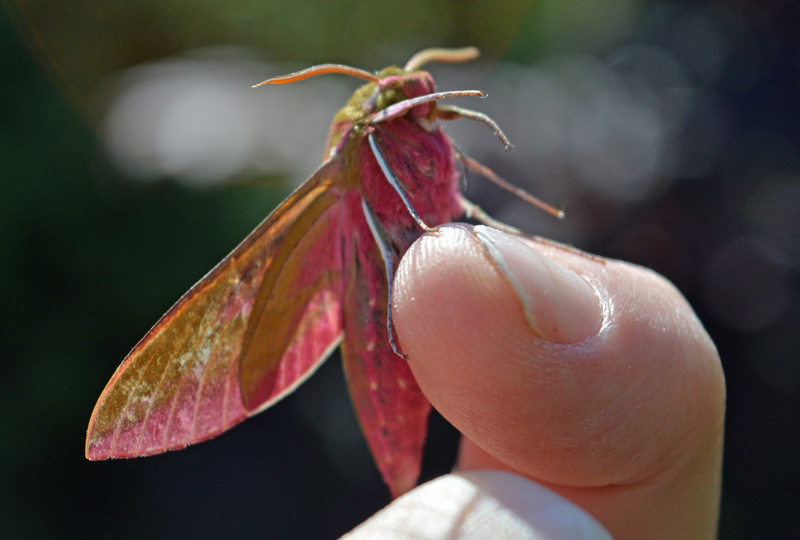 But let us not forget their cousins who grace the darker times in our gardens, the moths. 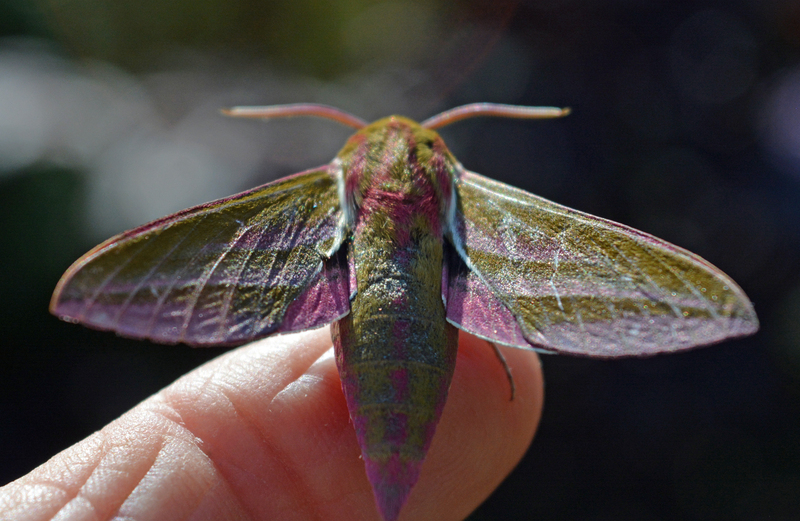 Throughout the summer months Jude and I put out our live moth trap to explore these night time visitors to our patch. We grow plants especially for them but it is good to see if they work or not in bringing them in. 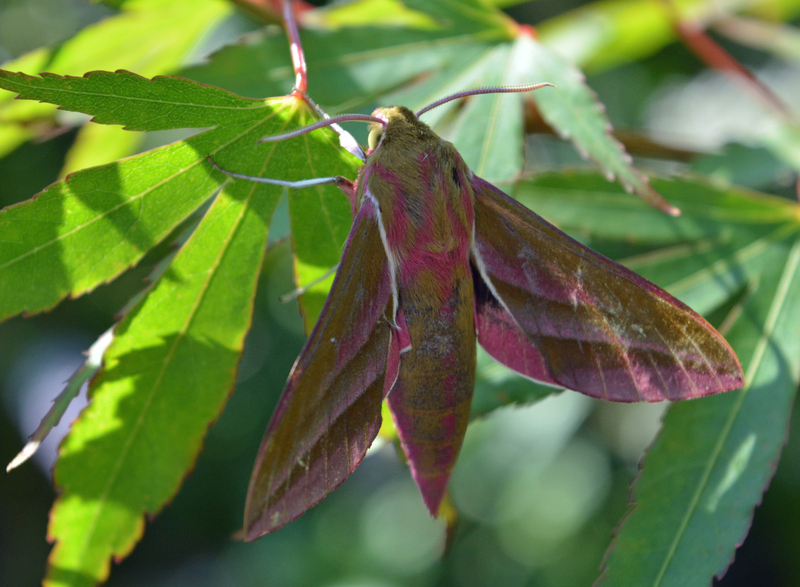 We have hundreds of varieties turn up, many really difficult to identify, but a particular favourite is easy and they turn up almost every time the trap is used, the Elephant Hawk Moth. 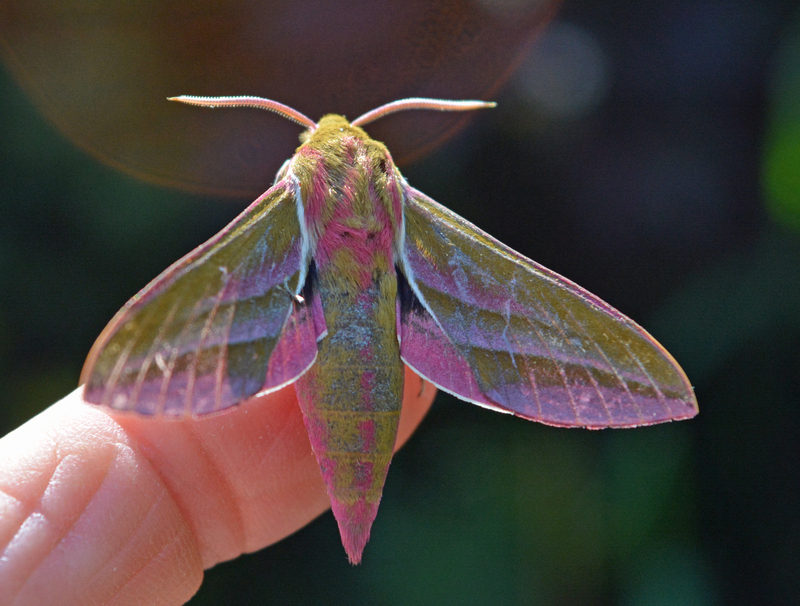 With its colours and patterns of pink and green it is a true beauty. 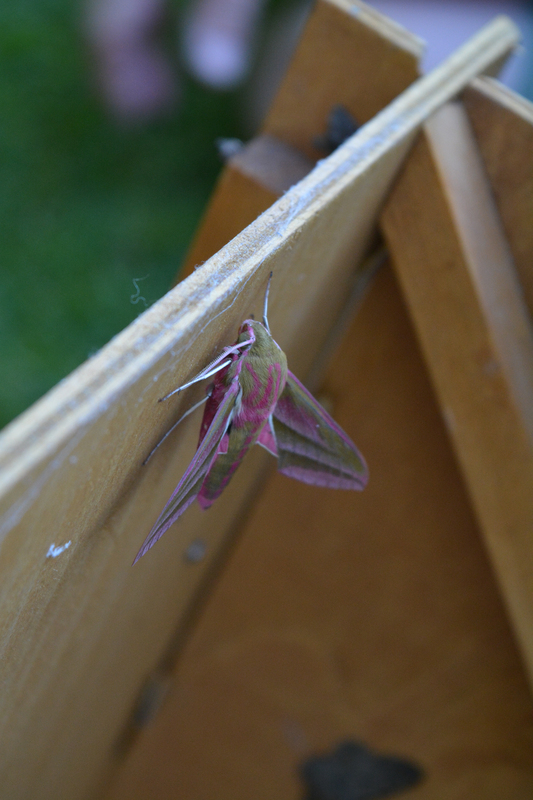 When we set up our trap in early July we caught seven of these beauties and enjoyed watching them go free. 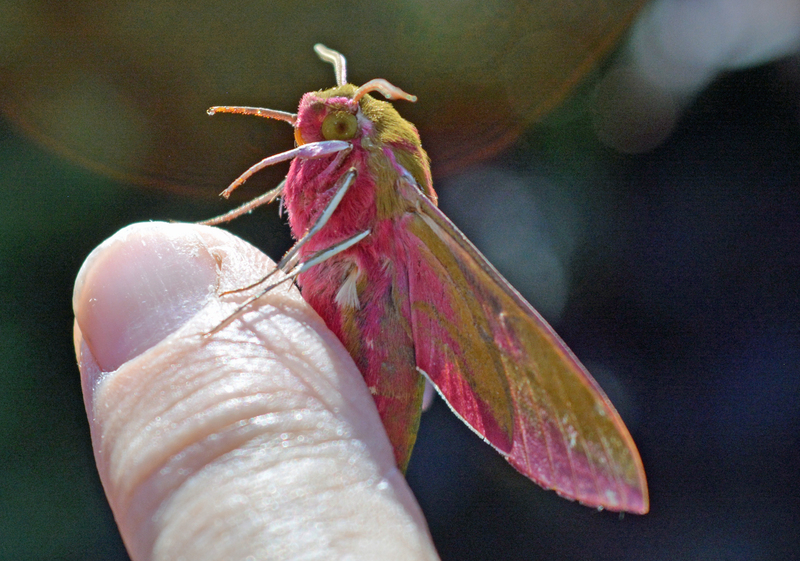 They often like to stay on our fingers before they depart and this time several stayed n foliage close by. 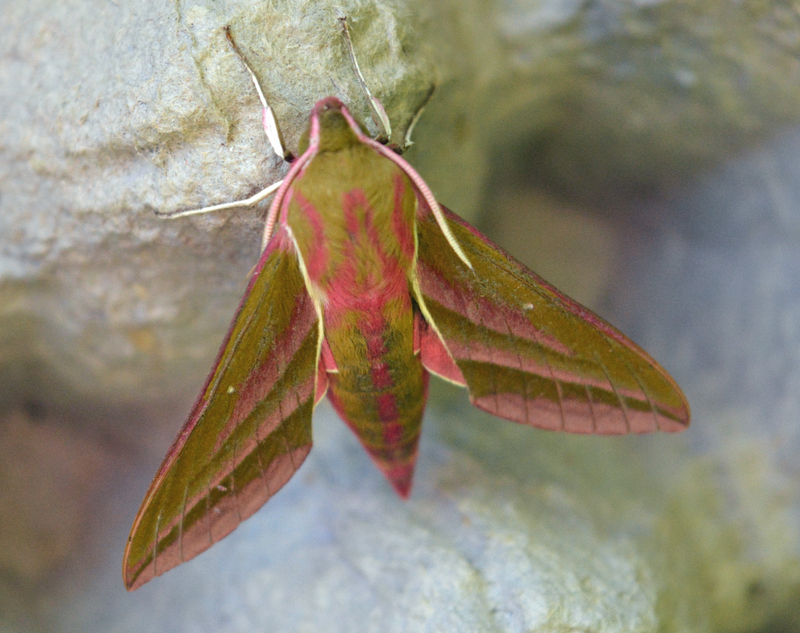 This entry was posted in garden wildlife, wildlife and tagged Elephant Hawk Moths, garden wildlife, hawk moths, moths. Bookmark the permalink.